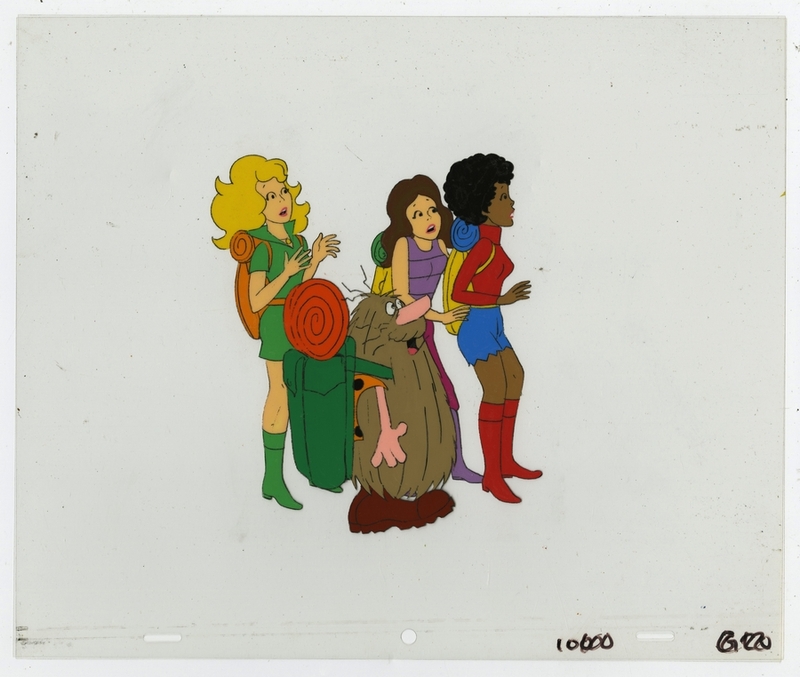 This is an original production cel from the Hanna Barbera Studios production of Captain Caveman and the Teen Angels (1977-1980). 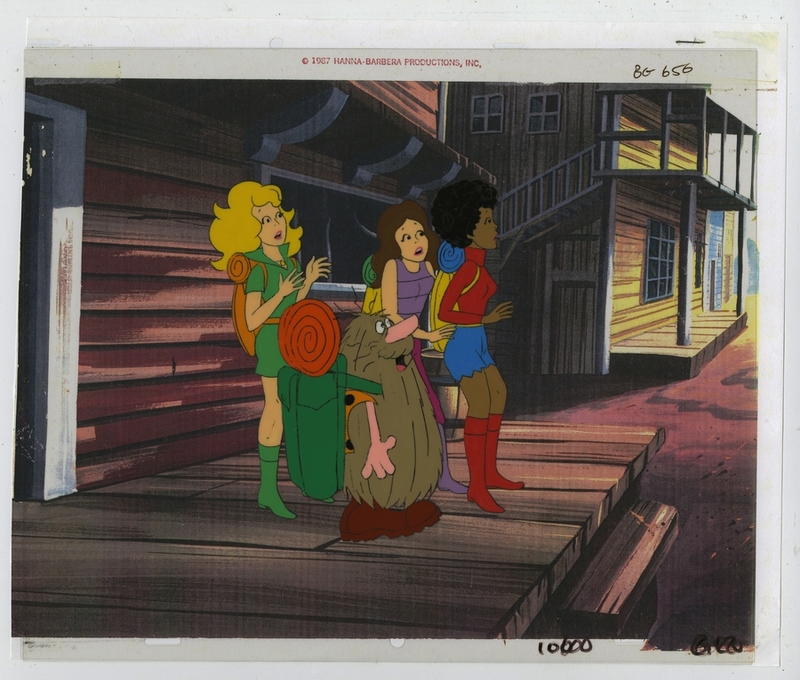 This cel features Captain Caveman and all three Teen Angels, Dee Dee, Brenda, and Taffy, and was created at the studio and used during the production of an episode in the series. The overall measurements of the piece are 10.5" x 12.5" and the image itself measures 6.25" x 5.25". 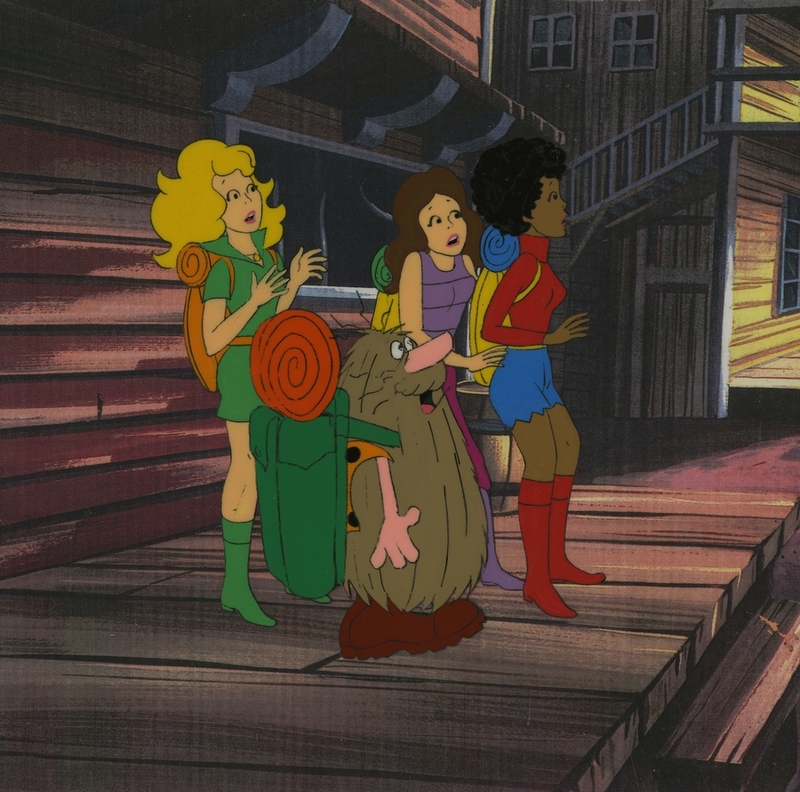 The cel is in good condition and has been paired with a color copy reproduction background.